After we landed near the glacier, I went exploring near our camp. 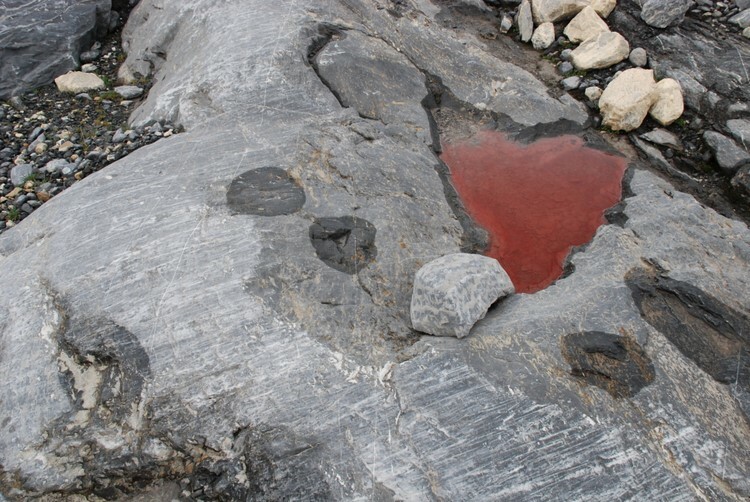 This little pool of water in a glacially scoured rock is filled with algae. The algae are green when they are alive in the snow but turn red when they die after being exposed to the sun at the surface of the snow, or in this case when the snow melts away entirely. This reminds me of the weird algae patterns in Sequoia.